Mark Korinek (left) and Dave Johnson (right). This post was written by Jacci Clark, Donor Services Tech II, in the Transfusion Medicine Division at Mayo Clinic. 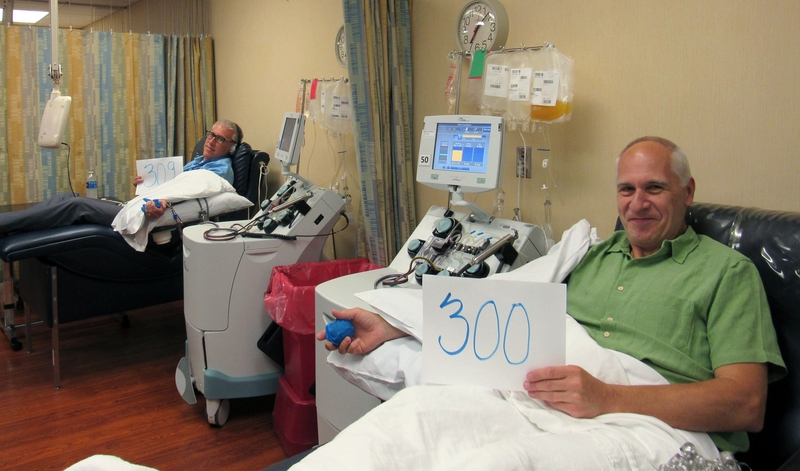 Dave Johnson recently completed his 300th donation. It’s an impressive number, one which only a handful of donors reach. Included in that 300-plus donor group is Dave’s longtime friend Mark Korinek. It’s only appropriate that Mark donated on the same day that Dave reached his 300th milestone. Dave and Mark are both regular platelet donors, competing for the distinction of having the highest number of donations. They call themselves "blood brothers." Dave and Mark met when their kids were young and were in the same homeschooling association. Both runners, they began running together and eventually training for marathons. They also had blood donation in common. 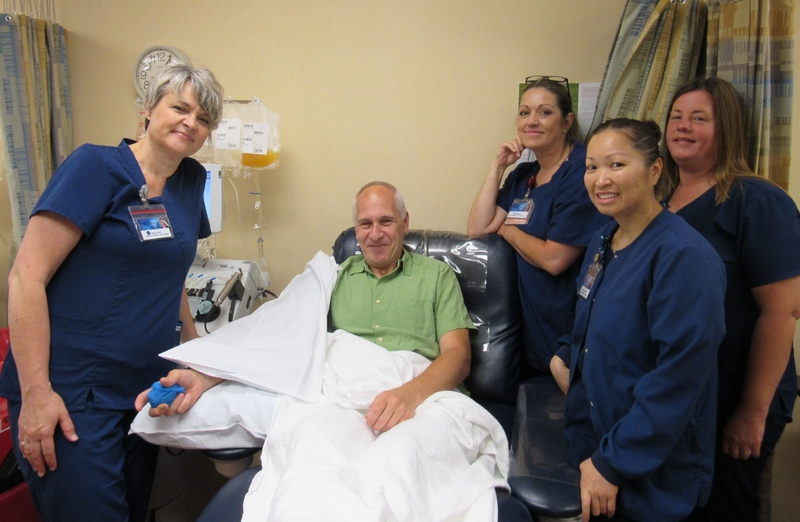 They said they had been running together for a year before they realized that they each donated platelets. They’ve been in friendly competition ever since. The numbers are close, but currently Mark is slightly ahead in donations. Dave says that he will continue to donate for as long as he is eligible, hopefully surpassing Mark one day. For Mark and Dave, the competition is just for fun. Their passion is to help the patients on the other end who are receiving their blood. Mark and Dave continue to run and train together. They’ve completed many races through the years, including the Twin Cities Marathon and the Zumbro 50-Mile Endurance Run. They may compete as blood donors, but when running races, Mark says they run and finish together. For more information about donating blood in Rochester, Minnesota, call (507) 284-4475 or email donateblood@mayo.edu. For more information about the Mayo Clinic Blood Donor Center, visit http://www.mayoclinic.org/donateblood or like the center on Facebook.